See below for winners of the Hubert J.P. Schoemaker Leadership Award, Frank Baldino Biosciences CEO of the Year Award, State Official of the Year Award, Federal Official of the Year Award, Deal of the Year Award, Scientific Achievement Award, and finalists for the Patient Impact Award and Emerging Company of the Year Award! Dr. Stephen Heilman is an American physician, entrepreneur, and inventor. Among other things, he is credited with inventions (U.S. Patents and Applications) in the fields of contrast enhanced medical imaging, the first implantable cardioverter defibrillator or ICD, the first wearable defibrillator or LifeVest defibrillator, and heart assist devices. His first inventions, a flow controlled angiographic injector and pressure tolerant disposable angiographic syringes, advanced the fields of radiology and cardiology by improving the diagnostic image quality and eliminating the imaging risk of blood borne disease transmission from patient to patient. He founded Medrad Inc, now part of Bayer Healthcare, to manufacture and supply these imaging devices on a worldwide basis. In 2013, an estimated 65 million medical imaging procedures were performed using Medrad products. Medrad and its subsidiary Intec Systems, in collaboration with Drs. Michel Mirowski and Morton Mower developed the world’s first implantable cardioverter defibrillator or ICD. ICDs prevent the most common form of heart disease death, namely sudden cardiac death or SCD. According to Hauser, in 2009, 140,000 patients received their initial ICD device and another 30,000 to 40,000 patients received ICD replacements. In 2014, Heilman and his Vascor coworkers expect to complete the development of a failsafe non-rotary implantable counterpulsation heart assist device that will be powered by a transcutaneous electrical transmission system or TETS. Heilman lives with his wife, Drusie, in the western Pennsylvania countryside near Pittsburgh. They have 5 children and 13 grandchildren. Bob Radie is president and chief executive officer and a member of Egalet’s board of directors and has been since March 2012. Mr. Radie has had a successful career with more than three decades in the industry and has been responsible for the sale of five companies. In 2005 Mr. Radie led the sale of Vicuron Pharmaceuticals to Pfizer for $1.9 billion and most recently he was responsible for the sale of Topaz Pharmaceuticals Inc. to Sanofi Pasteur for an undisclosed amount. Mr. Radie served in senior management positions with a number of pharmaceutical and biotechnology companies, including Prestwick Pharmaceuticals, Inc., Morphotek, Inc., Vicuron Pharmaceuticals, Inc. and served as a director of Affinium Pharmaceuticals, Ltd. from July 2012 to March 2014, when a majority of Affinium’s assets were acquired by a third party. Mr. Radie began his career in the life sciences at Eli Lilly and Company where he worked for 18 years in sales and marketing positions with increasing levels of responsibility. Mr. Radie serves on the board of Paratek Pharmaceuticals, a biopharmaceutical company, Pennsylvania Bio, an industry group supporting Pennsylvania life sciences companies, Veloxis, a public commercial-stage company, and Horse Power for Life, a non-profit organization dedicated to improving the quality of life for individuals diagnosed with cancer. Mr. Radie received his B.S. in chemistry from Boston College., entrepreneur, and inventor. 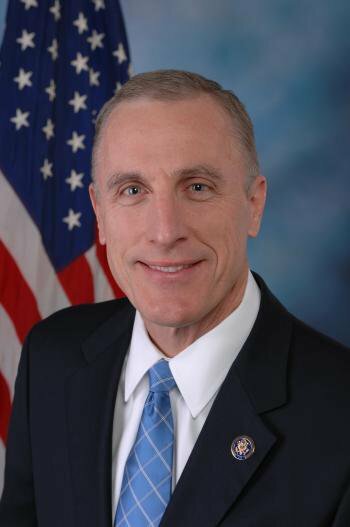 Congressman Tim Murphy is currently serving his eighth term in the U.S. House of Representatives. Murphy (Upper St. Clair) was first elected to the House in November 2002 to represent Pennsylvania’s 18th Congressional District. He serves on the House Energy & Commerce Committee as Chairman of the Subcommittee on Oversight & Investigations (O&I), as well as three additional subcommittees: Health, Energy, and Environment. The only practicing psychologist in elected federal government, Dr. Murphy relies on four decades of experience to advocate for meaningful reforms in the U.S. healthcare system. Serving as co-chair of the Mental Health Caucus and a founding member of the GOP Doctors Caucus, he focuses on policies to make healthcare more affordable and accessible for all families. In addition to his role as a representative, Murphy serves as a Commander in the Navy Reserve, currently assigned to Walter Reed National Military Medical Center in Bethesda where he continues to practice psychology in the Traumatic Brain Injury/PTSD Inpatient Unit. His ADT has included service at Navy Special Warfare Coronado, USS Carl Vinson (CVN 70), USS Ronald Reagan (CVN 76) and USS Theodore Roosevelt (CVN 71). 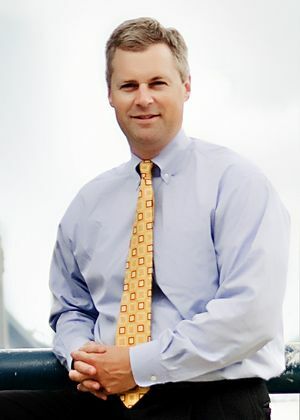 Murphy earned a bachelor’s degree from Wheeling Jesuit University, a master’s degree from Cleveland State University, and his PhD from the University of Pittsburgh. Senator Mensch was elected by his Republican colleagues to serve as Majority Caucus Chairman, a leadership position, for the 2015-2016 legislative session. As chairman he presides over Republican caucus meetings to discuss bills and amendments and to develop caucus strategy. 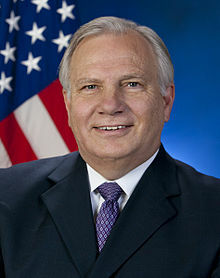 He serves as Vice Chairman of the Veterans Affairs and Emergency Preparedness Committee and sits on the influential Senate Appropriations Committee. In addition, the Senator is a member of the Senate Majority Policy Committee and is a member of three additional committees: Public Health and Welfare; Game and Fisheries; and Aging and Youth. He co-chairs the bipartisan Senate Economy, Business and Jobs Caucus and the Community College Caucus. He also chairs the Legislative Budget and Finance Committee, which conducts studies and makes recommendations aimed at eliminating unnecessary government spending. Charlie is an Accredited Investment Fiduciary (AIF) and a Chartered Retirement Plan Specialist (CRPS). He is a member of Wells Fargo Advisors LLC’s President’s Council*. When Charlie is not at work, he is with his wife, Stacey, and their three sons, Rie, Braden & Ben. They have two labs & two barn cats. Charlie volunteers with the AHA as a member of the Southeastern Pennsylvania Affiliate’s Planned Giving Committee. He went on to run that committee and became a member of the Board of Directors for that affiliate. That led to serving as a Member of the Operations Committee covering PA,DE,OH,KY & WV. From 2009-2013, Charlie chaired the National Investment Committee for the AHA of Dallas, TX. Since 2013, he chaired the AHA’s Science & Technology Accelerator. In 2007, he was awarded AHA’s Advocacy Award & in 2009 he was honored with AHA’s Distinguished Service Award. 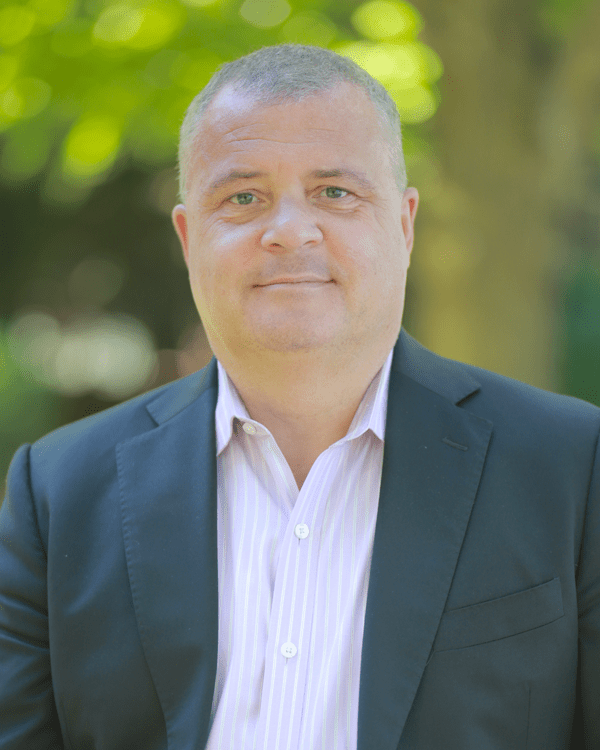 Charlie is Co-Founder of The Greater Philadelphia Pharma In Transition Group. 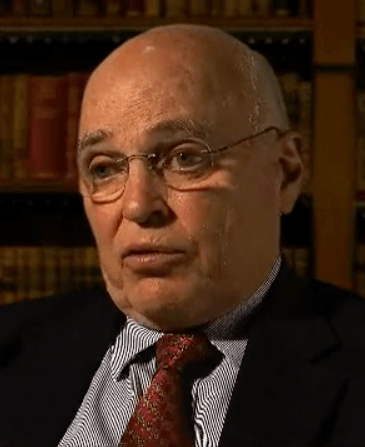 He is a past Board of BioStrategy Partners & Co-Founded the Friends of the Lankenau Institute for Medical Research. He’s a past Board Member of the Philadelphia HR Planning Society. He was the eighth in his family to graduate from Lake Forest College in Illinois and had the opportunity to study abroad in Madrid, Spain and work on the Madrid Stock Exchange. At age 14, Charlie became Action Bike & Sport Shop’s only bicycle mechanic. Like Walter Cronkite, H. Ross Perot and Steven Spielberg, Charlie is an Eagle Scout. *The President’s Council is a level within the Premier Advisors designation is held by a select group of Financial Advisors within Wells Fargo Advisors. It reflects a high level of standards as measured by one or more of the firm’s criteria for revenue generation, educational attainment and client-service best practices. In September of 2016, Allergan plc announced that it had entered into a definitive agreement with Vitae Pharmaceuticals, Inc., under which Allergan would acquire Vitae for $21.00 per share, in cash, for a total transaction value of approximately $639 million. The acquisition will strengthen Allergan’s dermatology product pipeline, with the addition of VTP-43742, a Phase 2 first-in-class, orally active RORγt (retinoic acid receptor-related orphan receptor gamma) inhibitor for the potential treatment of psoriasis and other autoimmune disorders. VTP-43742 acts through the potent inhibition of IL-17 activity. In preclinical studies, VTP-43742 has been observed to inhibit RORγt activity, is highly selective versus other ROR isotypes and may provide a treatment that could be administered as a once-daily oral dose. The compound recently completed a Phase 2 proof-of-concept multiple ascending dose trial in patients with moderate to severe psoriasis. Through the work of Judd Hollander, MD, and Stephen K. Klasko, MD, MBA, patients are now able to see a Jefferson doctor at any time, anywhere – using a phone, tablet or computer – offering ease of service, quality of care and speed at which they can speak to a medical professional. Patients save time and are able to receive on-demand care through JeffConnect. The Emily Whitehead Foundation was created to help provide researchers with the funding they need to find less toxic treatments for pediatric cancer. Our focus will be on funding the most promising research such as the T-cell therapy that Emily Whitehead received and other immunotherapies. We will continue sharing Emily’s story to promote awareness and inspire others to take action and make a difference. Merck & Co., Inc. has been nominated for its development and continued evolution of KEYTRUDA, one of the industry’s first anti-PD-1 therapies to treat various types of cancer. Since FDA approval of this product, Merck has undertaken a robust program to treat other tumor types and expand its coverage in the treatment to become the first line therapy for metastatic NSCLC whose tumors have high PD-L1 expression. Genomind is a personalized medicine company bringing innovation to mental healthcare through genetic testing. Genomind’s expert staff is comprised of pioneering researchers and thought leaders in psychiatry and neurology who specialize in pharmacogenetic laboratory testing for psychiatry. Genomind is committed to partnering with clinicians to improve their patients’ lives. KinderPharm focuses exclusively on pediatric drug development. Our experienced team of pediatricians, pre-clinical scientists, pharmacometricians and regulatory affairs professionals represent a unique pediatric drug development resource. We partner with biotechnology and pharmaceutical companies to advance pediatric medicines through all stages of development to regulatory approval. With our advanced computer-based modeling and clinical trial simulation techniques, we can minimize the number of children enrolled in clinical trials while providing high quality data to support pediatric labelling. With over 40 programs currently underway in the US and EU, KinderPharm is experiencing rapid growth in this emerging and important sector of the pharmaceutical industry. Radius is a science-driven biopharmaceutical company that is committed to developing innovative therapeutics in the areas of osteoporosis, oncology and endocrine diseases. Radius’ lead product candidate, the investigational drug abaloparatide for subcutaneous injection, has completed Phase 3 development for potential use in the treatment of postmenopausal women with osteoporosis.